The value of FA Cup matches against Football League opposition for non-league football clubs is well documented. Revenue sharing for match tickets and television money is, for clubs that may be otherwise dependent upon modest sponsorship and commercial revenues, gate receipts and other sundry sources of income, a most welcome breath of fresh air through annual accounts that may well otherwise fall somewhere between being stale and being rotten. This creates something of a dilemma for the supporters of clubs at which there is discontent at the behaviour of owners. By a law of unintended consequences, smaller clubs may become unwitting victims in an internecine struggle between two opposing camps. This hasn’t been a particularly easy year for Kidderminster Harriers. FA Cup giant-killers themselves during the 1990s as well as a former Football League, the club practically fell off the bottom of the National League at the end of last season and, whilst the club has recovered somewhat this season and is currently in third place in the National League North, its finances will have inevitably taken a hit from relegation. Much is made of the clubs that fall from League Two into the National League, but the truth is that this isn’t where the divide rests, between professional and semi-professional clubs in England any more. The vast majority of National League clubs are fully professional. The division has its own television deal. The real gap is at the foot of that division, where relegated clubs fan out into the regionalised non-league pyramid. For Kidderminster Harriers, therefore, last year’s relegation was probably a more seismic event than relegation from the Football League was in 2005. An away match against Football League opposition in the First Round of the FA Cup, therefore, was never going to be a life-changing windfall for Kidderminster, but it would provide a welcome cushion against the blow of relegation. When the draw was made a couple of weeks ago, however the club was drawn to play Blackpool away from home, and this is a club at which a large number of supporters are currently boycotting on account of its ongoing mismanagement by the Oyston family, who have overseen a vertiginous fall from the Premier League to League Two whilst acting punitively through legal action against protesting supporters. 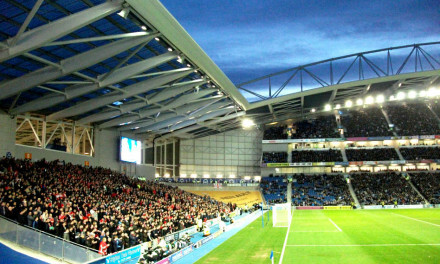 The Blackpool Supporters Trust, however, has come up with an ingenious solution that may ensure that any financial loss to the non-league club is mitigated as a result of the boycott that they are coordinating. Through the Trust’s website, Blackpool supporters who are boycotting this match can donate £6, the share of ticket money that Kidderminster will be missing out on as a result of lost ticket sales. And while this idea is grounded in altruism, it’s not without benefits to the trust itself. For one thing, it’s obviously good publicity that has already reached national newspapers. For another, though, it may allow them some insight into the number of people who are actively boycotting the club at the moment. 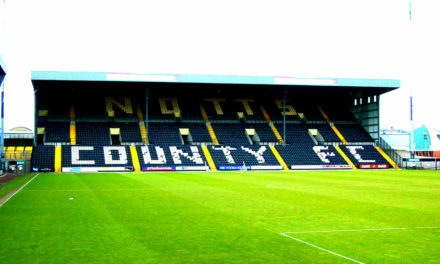 It’s true to say that such data may not be completely reliable – there will presumably be Blackpool supporters who are boycotting but couldn’t care less for the knock-on effect that boycotting has upon a non-league football club from the Midlands – but it may well prove to be something of a counter to official match attendances, which report all season ticket holders as present and correct for league matches, whether they’re actually in attendance at Bloomfield Road or not. The practical considerations, however, really take a back seat in comparison to the point of solidarity with another club. Kidderminster Harriers are a National League North club, once of the Football League. And Blackpool supporters can, albeit from a slightly different angle, surely appreciate how it feels to drop through the divisions. It looks at present as though the Seasiders don’t seem particularly unlikely to feature in yet another relegation battle this season, although even this cannot be completely ruled out at this stage of the season. At the exact time of writing, Blackpool are fifteenth place in League Two, although the team is only three points above the relegation places at present. The actions of the Blackpool Supporters Trust with regard to this match, however, sum up a state of mind that has been growing in recent years, that, in the face of avaricious – and sometimes just plain mad – owners, broadcasters who don’t really care about match-going supporters, a media that sometimes seems to be falling over itself to demonise them and governing bodies who only seem to care about the spublic image of the game as opposed to the reality of it, it is the fans themselves who can really be counted upon to act as a moral compass for the game. It’s not something that you’ll hear very much about in the press, but the difference between the supporters and the owners of this particular football club could barely be more marked. PreviousWest Ham United: Who Is Benefiting From The New Stadium?